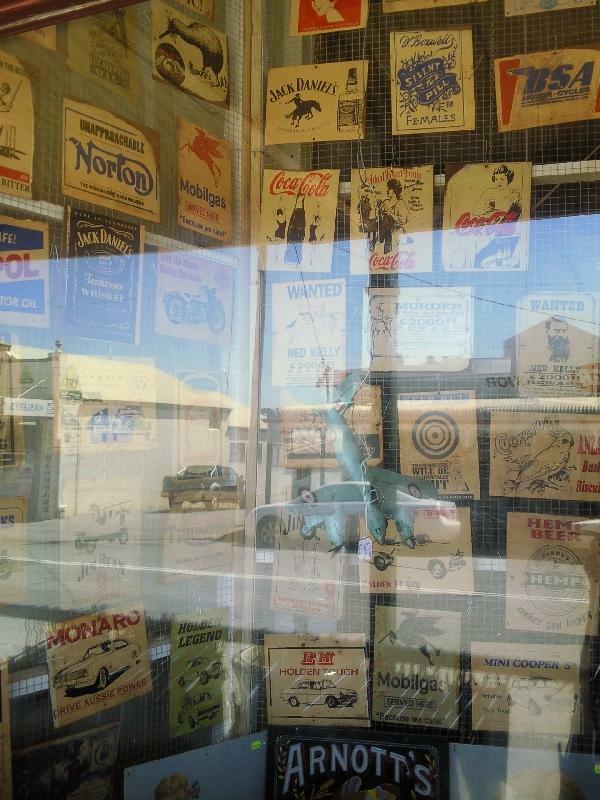 Northampton is a tiny town between Geraldton and Kalbarri with a typical Western Australian feel. There is maybe one main road alongside which you'll find some antique shops, clothing boutiques, the local supermarket, the hard ware store and of course a local pub to play bingo. The old buildings in this copper mining town are worth a visit though and the St. Mary's Church of Northampton is also very charming. Northampton does have a Visitors Centre where you can go for informations on the Northampton Heritage Walk as the town was listed a National Trust classified site for its rich historic value. The town of Fremantle is known for being a former prisoners town an even if the Fremantle Prison today might be a popular touristic attraction for many years it was one of the most cruel places of Australia. The Fremantle Goal was built entirely by convict labour in the late 1800's and only closed in 1991. Considering the harsh treatment for the prisoners it is hard to believe this institution lasted as long as it did. Through the years many convicts had tried to escape the prison but only six ever made it out of the country. Fremantle is a nice place to visit when you're in Western Australia and especially from Perth it's a good day trip. From Perth you can simply hop on the ferry all the way to Fremantle and spend the day there. Fremantle has a long prisoners history and its main touristic attractions today are the Fremantle Prison, the colonial buildings and of course the Fremantle Markets. 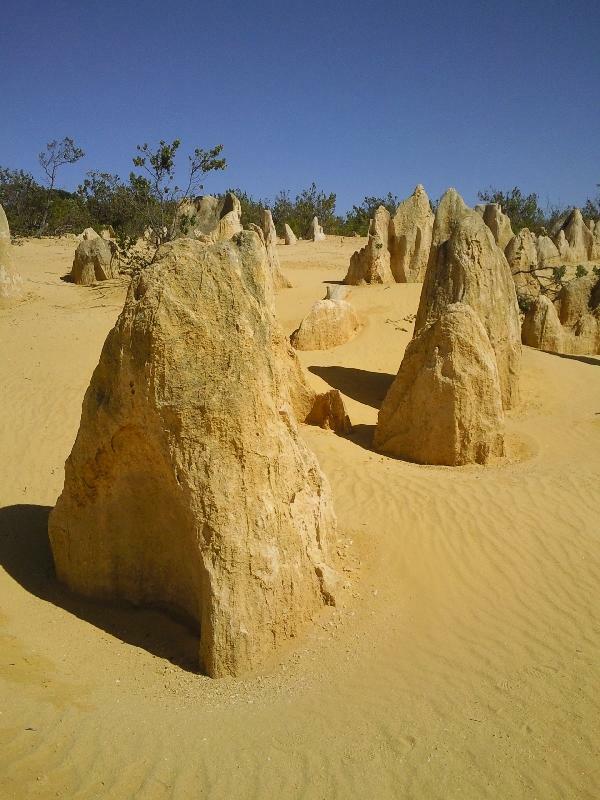 The Pinnacle desert of Cervantes is probably the best attraction of both Jurien Bay and Cervantes and you can drive through this park bycar. We rented a large 4wd and managed to drive precisely through the pinnacle formations on the unsealed road but I don't think our car should have been a size bigger.. The landscape of the Nambung National Park desert with all the yellow coloured sands and rock formations is really pretty and you will be able to look out over the Pinnacle Desert from a wooden outlook. Jurien Bay in Western Australia is probably the most dull town in Australia and besides the BBQ facilities on the beach there is not much here to enjoy. The beach itself is OK but not one of the cleanest we'd seen in this part of Australia. We stayed at this B & B called the On the Bay B & B and the room turned out to be literally in the owners home! Thinking Jurien Bay was some exotic seaside town we thought it would be well worth a visit but boy, were we wrong! Australia - Fruit Picking Jobs in Carnarvon Western A..
Australia - From Cairns to Green Island and the Great..
Australia - Victoria Markets in Melbourne for fruit a..
Australia - The Melbourne Luna Park at St Kilda. Australia - Richmond and the Vietnamese quarter of Me..
Australia - Cradle Mountain National Park and their T..
French Polynesia - Sailing the Tuamotu and Marquesas ..
Pitcairn Islands - Pitcairn Island photos and travel ..
Australia - A milion photos during the Great Ocean Ro..